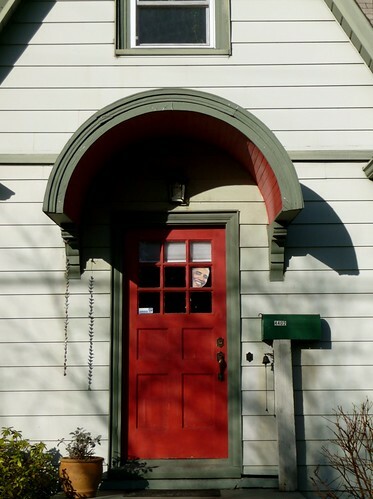 The Wikli is an informal e-flyer with news for neighbors. Anyone can contribute, and anyone can edit. Subscribe to the Wikli. You'll get one email per week. It's been a big February at the cinema. We got most of the Oscar nominees on screen just in time for you to see them before the big event. And why argue with success? We're keeping Slumdog Millionaire, Milk, and Doubt through March 6. The Columbia City Gallery is pleased to announce two concurrent exhibits opening on Wed, March 4. In the Guest Gallery we present "Upsidedownism", paintings by Vietnamese artist Dai-Giang Nguyen. The Main Gallery features "Thinly Veiled", new works by gallery artists Jacqui Beck, Shari Kaufman, Fasika Moges & Annie Moorehouse. Exhibits run from March 4 - April 12. The Artists' reception will be on Sat, March 7, from 5 to 8 pm. This event is free and open to the public. Hi friends and neighbors. It's that time… garden clean-up. 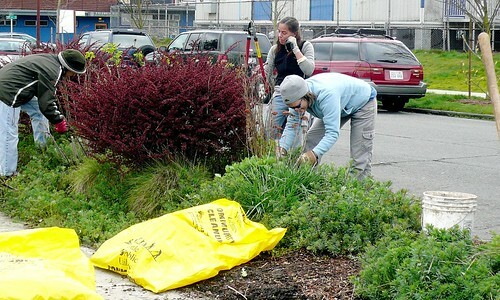 I'm planning two work parties to get the Edmunds St Flower Garden strip in shape for the spring and the Farmers Market. Woo-hoo! Come join on either or both Sat Mar 14 and Sun Mar 15 from 9am until whenever you want to stop. Bring hand tools, shovels, loppers, etc., garden gloves, and clean green bags if you have any to spare. Any questions please call me at 723-5925 or 384-9123. For the second year, owner Melinda Preboski will host the Breast Care Express Coach to provide an opportunity for women 40+ to be screened 9:30am to 3:30pm March 21st. Curves Fitness is located at 5508 Rainier Ave S and Findlay St. If you are age 40 to 64, have limited income, have no insurance or limited insurance, You may qualify for free services. Seattle Audubon's BirdWatch Service Corps will host their monthly bird banding demonstration in Seward Park on February 28. There was an excellent article about January's demo in the P-I last week. Don't miss this chance to see science in action as BirdWatch student naturalists assist Puget Sound Bird Observatory volunteers in capturing and banding live birds. The demonstration is free and open to the public. It will run from 9am-12pm at the Audubon Center in Seward Park (5902 Lake Washington Blvd S). More information here. Hope to see you there! The newly-formed Columbia City Business Improvement Area (BIA) announces that it is seeking to fill the position of BIA Manager. This is a part-time job, approximately 8 hours per week. The BIA Manager is responsible for administrative and programmatic oversight of the BIA, reporting to the chair of the Ratepayers Advisory Board. Important skills include customer service, financial management, and contract management. 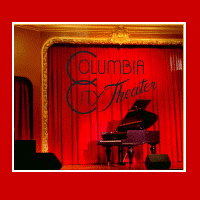 The ratepayers are property owners within the Columbia City business district, and the BIA's programs are directed at keeping the business district clean and safe. Interested candidates should send a letter of interest to RAM Columbia LLC at 3827A South Edmunds Street, Seattle 98118. Starting on Friday, March 6, 2009, Listening Mothers will begin a new group at Seattle Home Maternity Service. Please join us for this 8-week small group program for mothers and babies ages 0-6 months. Listening Mothers focuses on the mother's and baby's experience and the relationship they share with each other. We welcome the opportunity to help parents and children deepen their relationship, come to know themselves and their babies better, and find more confidence in their own native parenting wisdom. Share your dreams and receive their healing messages. Find out how to remember more of your dreams. Learn to recognize the spirit allies and ancestors who come to you in dreams. Experience the deep connections that come when we share dreams in a circle. Focus on mixed media, stages of painting, and abstracting with Columbia City Gallery artist, Jacqui Beck. $135 for 2 day class. For more information visit Jacqui's website or to register call 325-7267. Check out our new selection of Rhythm Band instruments. We also have high quality ukuleles and children's guitars. We have new SPRIG diggers and dump trucks (all made from recycled plastic and reclaimed wood). They smell like your grandpa’s wood shop. All $15 — a great birthday gift. For the adults we have the coolest hand crocheted cacti that are potted in clay pots. These are great for desks or windowsills and need no watering. We have a new under 2 year old section. World's largest tape measure, My First Wallet, a great selection of OBalls and flocked cars and animals. Need some inspiration for your fitness New Year's resolutions? 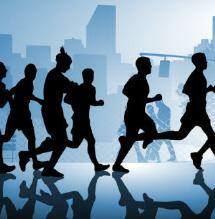 Come join the CCity Runners for a Saturday morning run! We meet at the Columbia City Bakery every Saturday morning (rain or shine) at 8:30am. Look for the morning host and introduce yourself. Routes vary depending on the runner. We have everything from a short to a long route. Hope to see you there! Questions? Contact Heather Henricks at moc.liamg|skcirnehh#moc.liamg|skcirnehh. You can also check us out at www.ccityrunners.com. 200 volunteers help prepare Rainier House for our newest neighbors, 50 formerly homeless residents. Every bite at Afrikando Afrikando is infused with love. … That's what's new in news. There's now a central page where Citizen members can upload small files for sharing. Scottb has posted an update for Friends of Columbia School. A few neighbors have updated links to their blogs and websites.